Which Is The Best Platform For Your Paid Search Advertising? Is It Google Or Bing? People these days consider Google as a friend, in giving answers to their questions, solutions to their problems. Most of the population prefers Google to other search platforms. This will make you think what's wrong with other platforms like Bing or yahoo. Yes, Google is a good platform for the reach of your ads. It has countless information about everything. But there are other platforms as well in providing information according to the searches. This article is to provide you with info on which platform performs the best for your PPC advertisements. 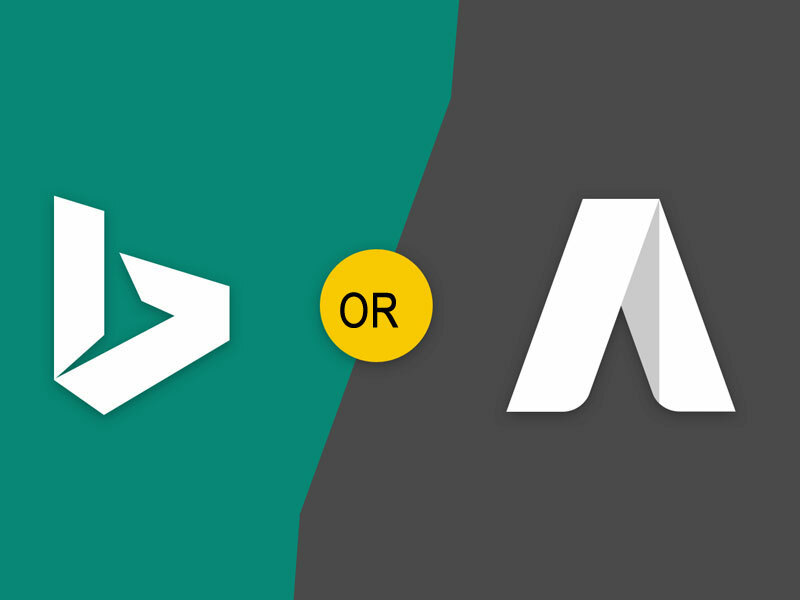 Here is a scoop of differences between Google adwords and Bing. Both these platforms hold a set of trends that will express the uniqueness of them. Here is a set of differences between ads on Google and Bing. Compare them and choose the best platform for investing on advertisements. The ads posted on Google are being shared to search network and display network. In the same way Bing also shares your ads to its partners- yahoo and AOL. Google displays four ads on the top searches; the appearance of your ads on the top searches is determined by your ad rank, traffic to your website and bidding strategy for your ad. Bing displays one or two ads on the top of the searches. The remarking of the audience is one great barrier that evaluates the value of the site or an ad. In this case Google maintains transparency to its audience by including the negative audience as well. In Bing platform the negative audiences do not appear. The ad rotation setting is customizable settings that will automatically rotate ad within you're ad group. Both Google Adword and Bing use ad rotation which optimizes and rotates indefinitely. Google Ads Platform is relatively faster compared to Bing. It won't affect if it takes a few seconds more if you run a couple of campaigns, but if you are working on many accounts it will surely impact into hours. There is a difference in bidding in both the platforms. Google ads are a bit costlier compared to Bing Ads. Bing Ads bidding can be very low in third world countries. These are the differences in ads between Google and Bing. From the comparison you can identify that there are no big difference between both the platforms but a better reach can be gained through posting on Google. For better results seek the guidance from a Google Premium Partner Agency.